Trademark, Trade Name, Service Mark, Fictitious Name, Corporate Name, What’s In a Name? Most existing San Diego businesses rely heavily on name recognition but it is surprising how many fail to protect this invaluable commodity. This is due in part to the fear most business owners have with the idea of consulting an attorney and in part to a lack of understanding of the protections available to them. The hesitation in hiring an attorney is understandable and needs no explanation. This article focuses on delineating the steps businesses should take, and emphasizes the importance of obtaining Federal Trademark protection. The first step any business takes is to form a business entity. If the business entity is a formal entity registered with the State of California such as a Corporation or Limited Liability Company (LLC), the business’ name automatically becomes “Business, Inc.” or “Business, LLC” and, assuming the name is not already in use, no one else in California can form the same business entity with the same name. In some instances, corporations and LLCs operate under different names. For example, “Business, Inc.” may run a clothing outlet called “Boutique”. To protect the name “Boutique”, the corporation will register a Fictitious Name (“Doing Business As” or “DBA”) with the County in which the company will do business. The DBA allows the corporation to open a bank account for “Boutique” and prevents local competitors from registering the same fictitious name. Sole proprietors and partnerships that are not registered with the State of California also obtain “Fictitious Names”. Most business owners either form a formal business entity or obtain a DBA. They understand the protections formal business entities offer and know that at the very least a DBA is necessary to open a business bank account. Unfortunately, most businesses stop here leaving their business name vulnerable to attack. To avoid costly litigation and protect the goodwill and earned clientele associated with the business name, businesses should consider obtaining federal trademark protection. Long time business owners that have established a distinctive name first are offered some protection through what is termed a “common law” trademark, at least within the geographical area that the name is used. However, any first in time federally registered trademark will take precedence over your mark regardless of the geographical area of use. The creation of a federal trademark creates a rebuttable presumption that the trademark has priority over all other claims nationwide. So on the pyramid of protections, the federal trademark is the ultimate protection. Even where common law trademarks are enforceable, they will be limited to the geographic area in which they were in use prior to the registration of a federal trademark. This obviously places limitations on the expansion of your business. Moreover, with emerging and uncertain internet law, a business’ ability to protect its name and mark on the internet is constrained further. It is unclear today whether a local San Diego business can operate a website using its common law protected name where another company holds a federal trademark for the same name. The San Diego website is obviously accessible nationwide. 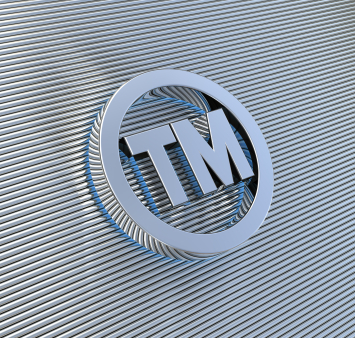 The significance of obtaining federal trademark protection cannot be understated. Filing for and obtaining a federal trademark provides you with the ultimate protection and it should be sought as soon as practicable. You can protect not only your name but your name’s likeness. A trademark is defined as any word, name, symbol, or device, or any combination of a word, name, symbol or device, used, or intended to be used, in commerce to identify and distinguish the goods of one manufacturer or seller from goods manufactured or sold by others, and to indicate the source of the goods. A service mark is essentially the same thing except that it identifies and distinguishes the services of one provider from services provided by others, and to indicate the source of the services. The issues surrounding the identifying features (your mark) involve complicated intellectual property issues. However, one can find examples of marks, the different designs and features that can be protected by a federal trademark at the United States Patent and Trademark Office’s website. You can perform a preliminary search here and see who else is using your business’ name or a similar name and the registered designs. States also offer their own Trademark Protections. However, in most cases it is wise to obtain federal protection. An attorney can help you make the right choices for your business.